We use only the finest quality fabrics throughout our product range. Our curtains are lined with an ivory coloured poly-cotton sateen to help protect against fading, provide insulation and offer a “quality feel”. Blackout lining is available as well as interlining for that luxurious feel that will also provide great insulation. 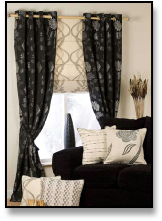 All curtains are made-to-measure with fullness to give the curtains and valance a real sense of quality. Curtains and valances are supplied with a deep multi-pocket pencil pleat heading tape which is gathered to give a decorative effect. Pinch pleat, Tab Tops and Eyelet headings are also available. Ultra modern or practical and luxurious, your blinds and curtains can really make a difference to each room in your home. Ensure you consider carefully the design and colours you want in each room. From comfort and convenience to aesthetics and durability, every aspect of what you expect from a window dressing should be well considered before purchase. When selecting window coverings start by determining your functional requirements followed by your decorative style. Colour is extremely important when choosing your curtains. It is such a personal choice and can be very difficult to make. Your curtain fabric only needs to co-ordinate with your decor – not be an exact colour match. You could use your curtains to draw out hidden colours in your wallpaper or to compliment your cushions. These work well to make spaces seem more open, fresh and spacious. Consider lighter colours in smaller rooms or rooms with little natural light. Darker colours can provide a more cosy and luxurious feel whilst deep, rich colours add drama to a space when teamed against lighter wall colours. Wherever possible you should choose lined curtains as the lining will prolong the life of the curtain and protect your curtains from fading in sunlight. If your curtains are for a bedroom then consider a blackout lining to block the morning sun from acting as an un welcomed alarm clock. Should your window be north facing, frequently exposed to inclement weather or near other noisy areas such as a main road then consider interlining. Interlining is a soft, hollow fibre material that is placed between the curtain fabric and the lining material. The additional layer of interlining material not only adds body, fullness and softness to the curtains but also dampens out unwanted noise and acts as very good insulation. Puddling refers to an amount of extra fabric length that is spilled or “puddled” onto the floor. 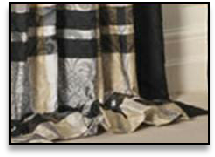 Puddling adds opulence and style to your curtains and gives them a presence within the room. It is said that pudding originated as a means for the rich to show off their wealth. 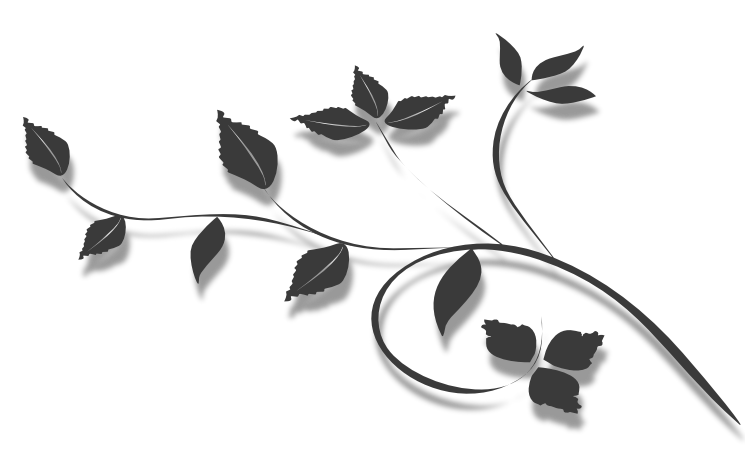 In the days when fabrics were rare and expensive luxuries, only the wealthy could afford them and only the wealthiest could afford extra material just for decorative purposes! Generally we only recommend puddling on decorative curtains. If your curtains are going to be opened and closed regularly, puddling is not recommended as the bottom of the curtains will soon become worn and unattractive.